Keith's first semester as a PhD student is almost over! Classes are done and there is just one final between us and Christmas break! Wahoo! He has been working so hard lately. We are aching to get on that plane that will take us west. Life has been pretty sweet and normal lately. Charlie had an appointment at the metabolic clinic with the dietician and geneticist. 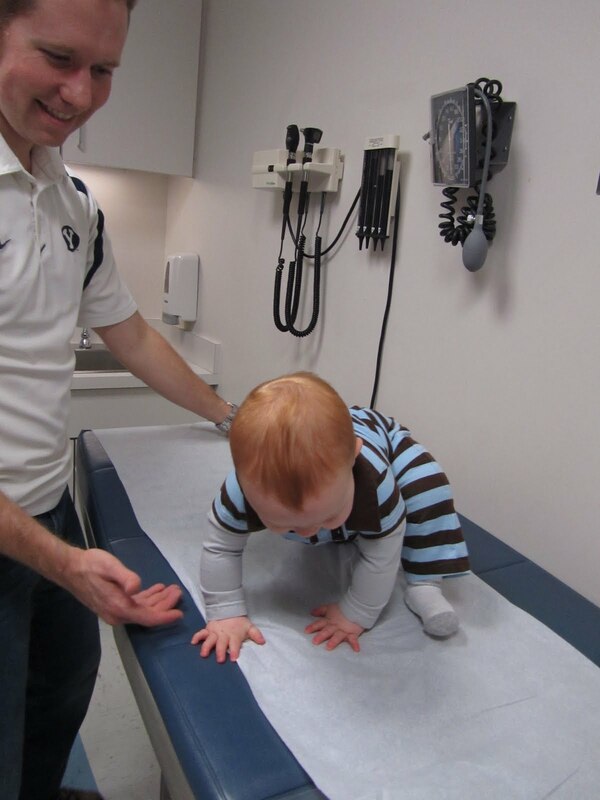 Hands down the part that Charlie liked most was crawling around on the exam table while we waited. You see, the paper on the exam table makes neat crunchy sounds when you crawl on it, and crunchy paper is one of Charlie's most favorite things. He just couldn't contain the excitement and his squeals were echoing down the halls. Keith: GOOD JOB BUDDY! Did you hear that! He said it! He said Dada! Way to go! You're awesome! I am not sure that Charlie really understands what it is that he is saying, but it sure is fun to see Keith's excitement. 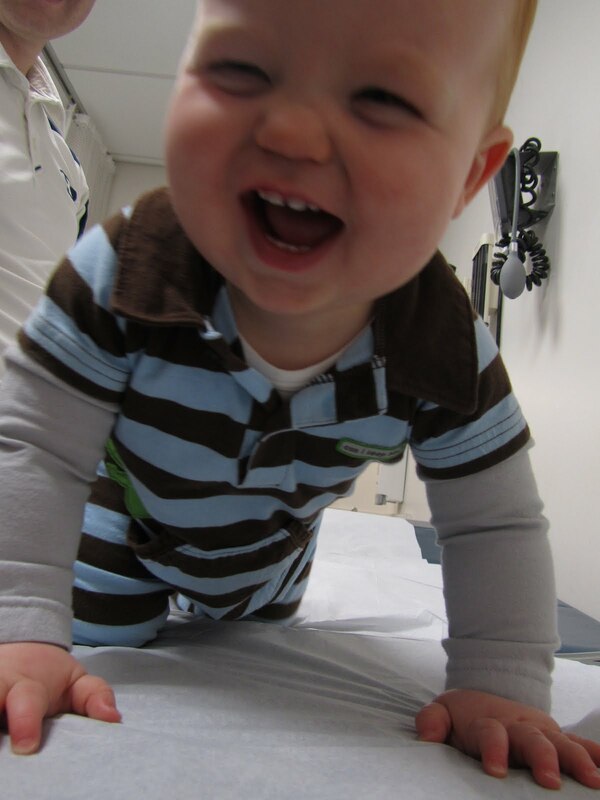 Manu also loves the crinkly paper at his pediatricians office, there's just something about that sound. He also has a fabric book that makes that sound and we call it the quiet book (also, "the magic book") not because it's quiet, but because it almost instantly calms him down if he gets fussy in the car. Hooray for Charlie, and Keith! I love listening in on Daddy/kiddo conversations. LOVE the pic of Charlie laughing!